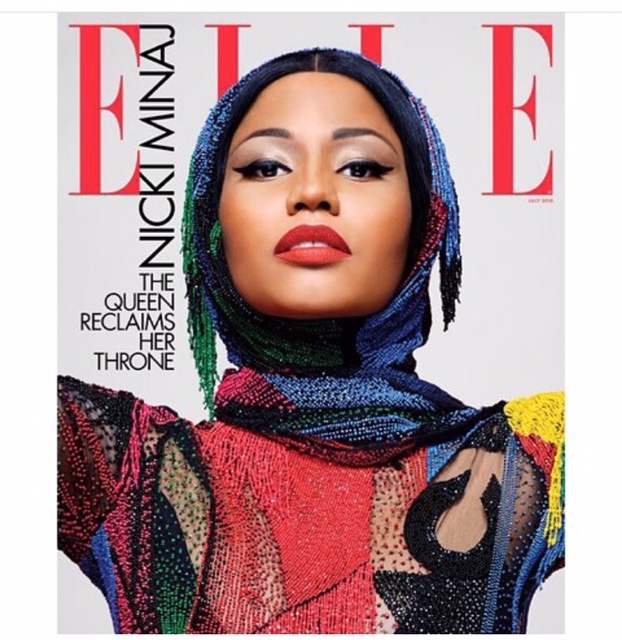 Nicki Minaj covers the July issue of ELLE magazine. Nicki remained ghost for several months before returning to the music and social media scene with a vengeance. The songs “Chun Li” and “Barbie Tingz” continue to climb the charts while fans await a full album from their Barb. During her sit-down with the magazine Minaj discusses how it feels to be back on top and on her throne. Posted on June 17, 2018, in ENTERTAINMENT NEWS. Bookmark the permalink. Leave a comment.